At the launch of India's Next Top Model season 4, indianexpress.com caught up with VJ Anusha Dandekar to talk about the show, the youth of India and her relationship with Karan Kundrra. 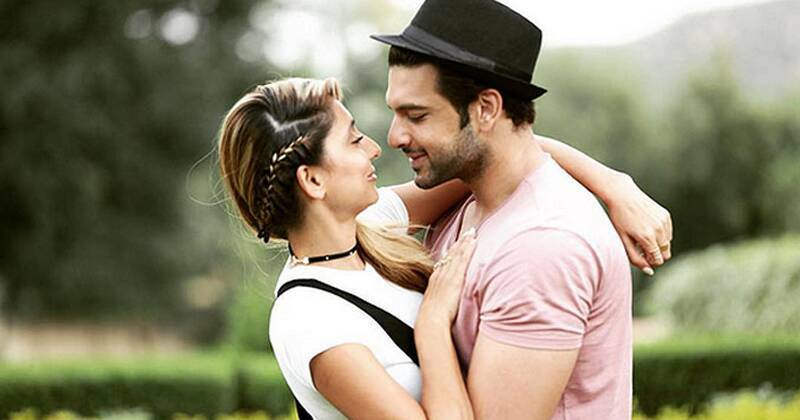 Anusha Dandekar said there was time for her marriage with boyfriend Karan Kundrra. MTV is back with the fourth season of India’s Next Top Model. While Malaika Arora Khan, Milind Soman and Dabboo Ratnani are the judges, Anusha Dandekar and Neeraj Gabba will be seen as the mentors to the contestants. On the sidelines of the show’s launch, indianexpress.com caught up with the much loved VJ Anusha to talk about the show, the youth of India and her relationship with Karan Kundrra. Anusha shared that this season there are a lot of unique models participating in the show. “They are so confident and beautiful. We have some really interesting personalities. This season will have tougher challenges. The judging panel is so interesting. We all come from different places and everyone has a role to play in finding the best girl. Once you guys will see the before and after avatars of these models, you will understand how much of hard work has gone in place,” shared the mentor in an exclusive chat. Anusha was recently seen hosting Love School with boyfriend Karan. With both being busy now with their respective projects, we asked her how they managed to take out time for each other. “We do see each other enough (laughs). But Karan is shooting all the time. I have a new level of respect for him. I do not understand how he does it. To shoot continuously for 15 hours and then going back the next morning. Karan Kundrra, all my respect to you,” shared the proud girlfriend. India’s Next Top Model 4 airs every Friday at 7 pm on MTV.